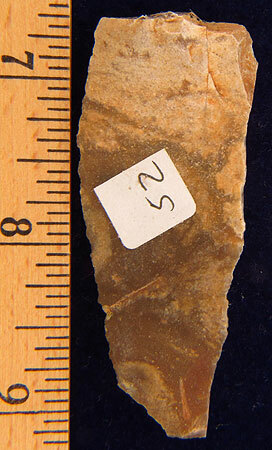 07/23/13 UP47. 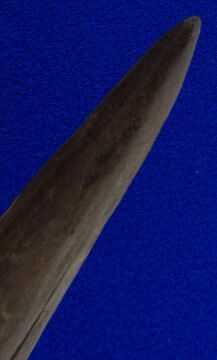 Awl fashioned of deer antler, 5 11/16" L, found Saint Antoinin Noble Val and in Bruniquel, Tarn et Garonne, France, ex-collection of Simon Poulenc (b. 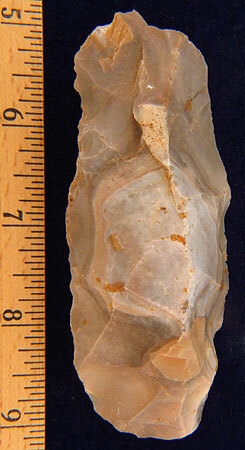 1828 in Espalion), founder of Rhone-Poulenc and grandfather of composer Francis Poulenc, Prof. Leon Lacan and his family by decent. 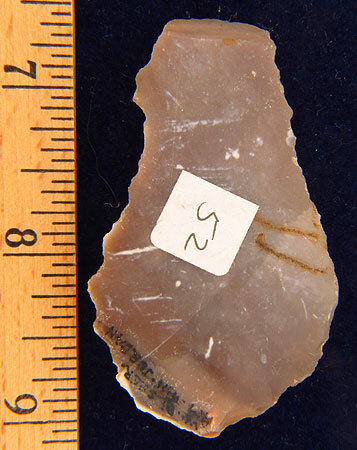 Late Upper Paleolithic, ex-Richard Britton, Royal-Athena Galleries collections (US), excellent condition except for the one split (very old), Very, Very rare tool from this time period, $395. 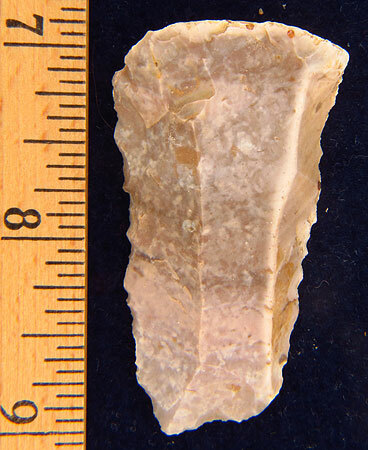 07/23/13 UP47a. 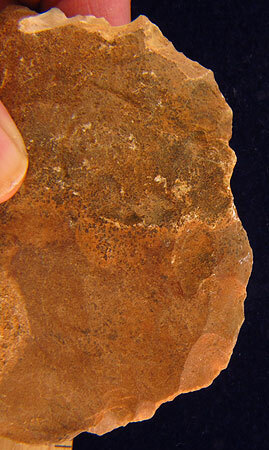 Other side of the above showing the split. 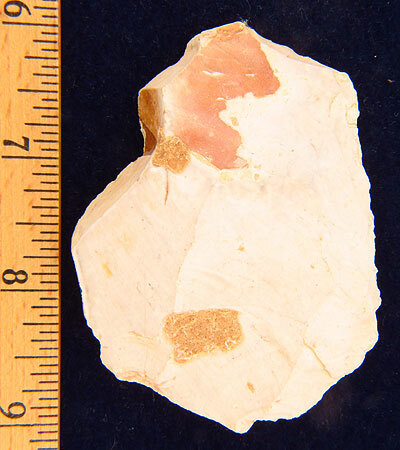 07/23/13 UP47b. 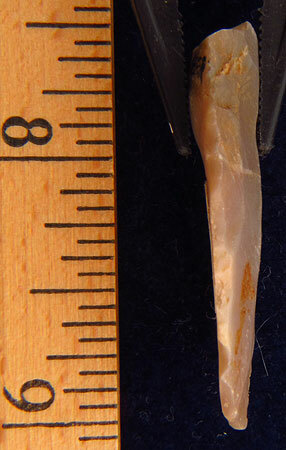 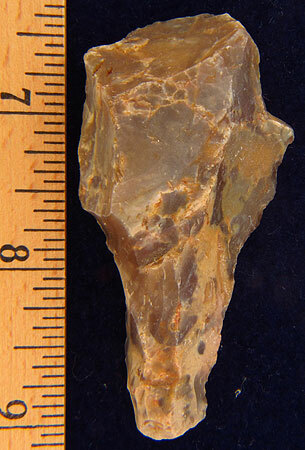 Close-up of tip. 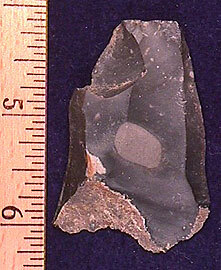 01/15/08 UP48. 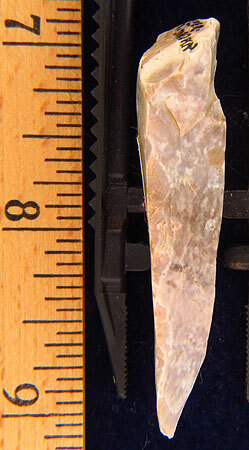 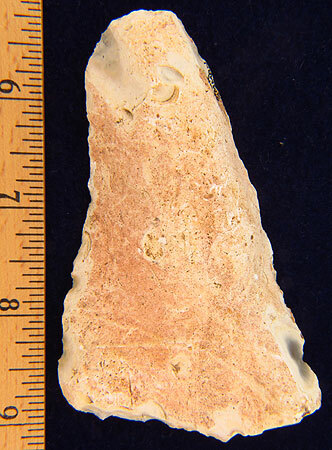 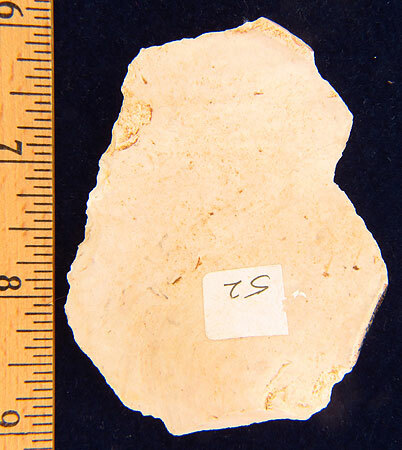 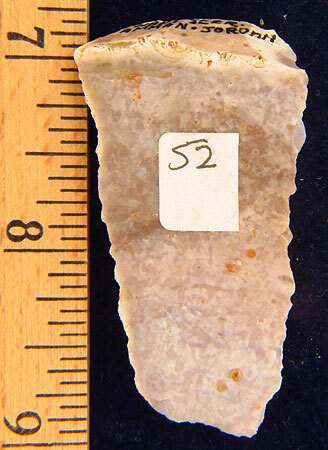 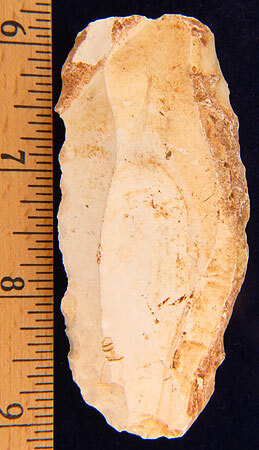 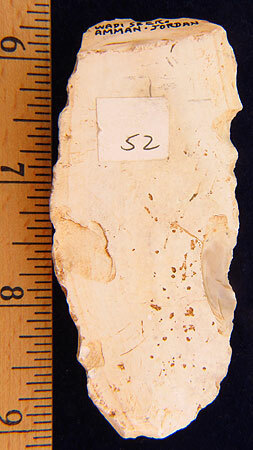 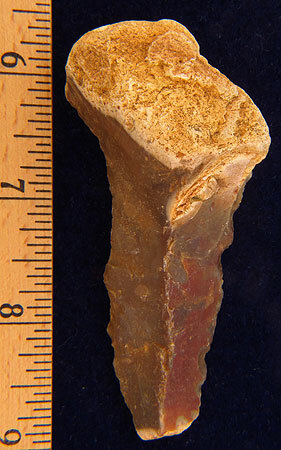 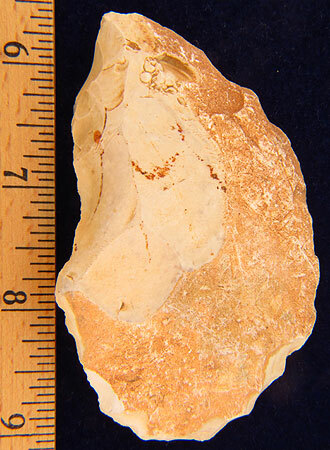 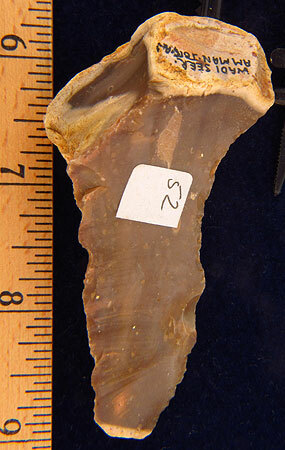 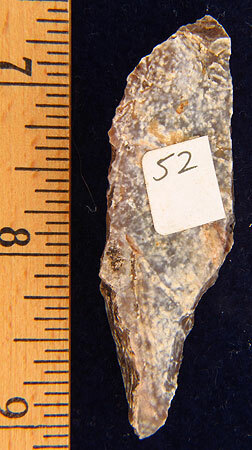 (UP47) Magdalenian utilized flake, 2 1/8" L x 1 1/2" W, la Magdeleine, Dordogne Region, France, blue gray flint, from my personal collection, $17. 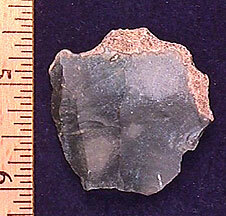 01/15/08 UP 49. 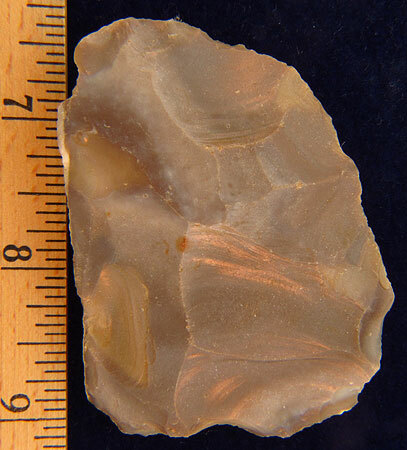 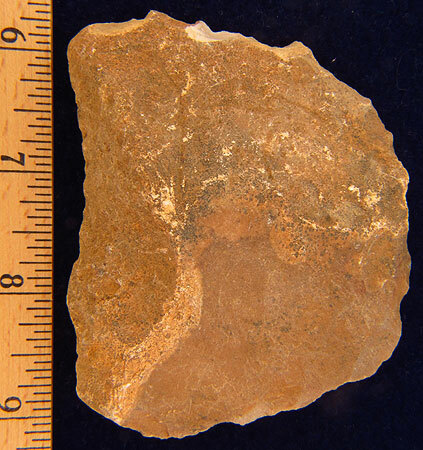 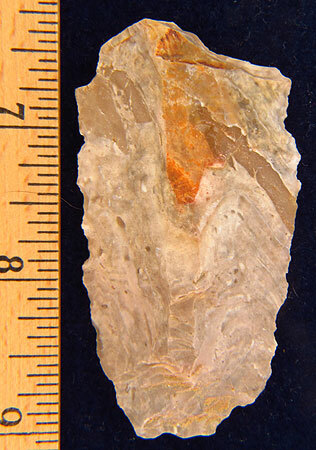 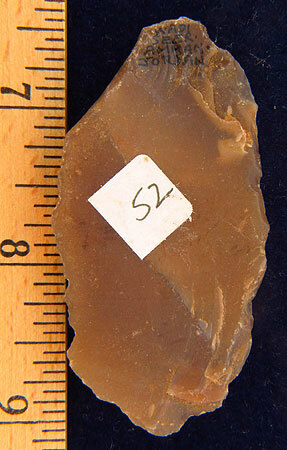 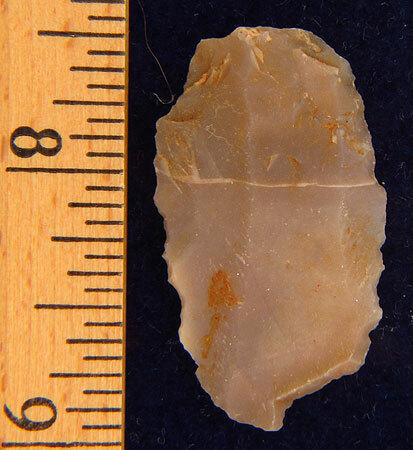 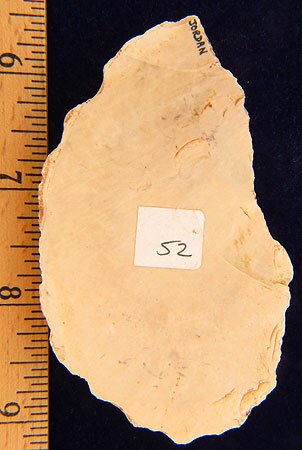 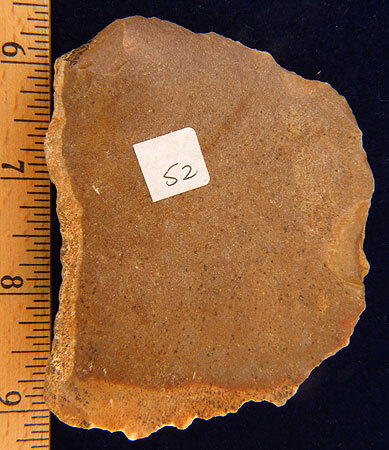 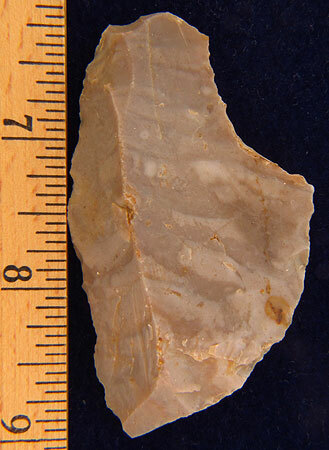 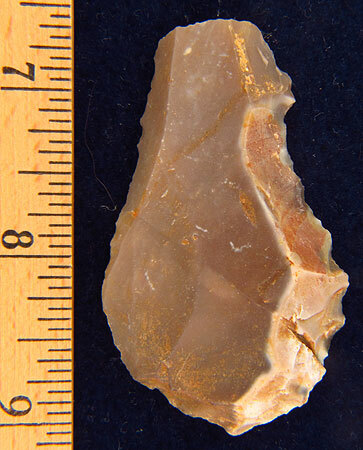 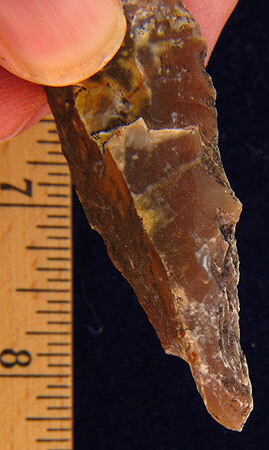 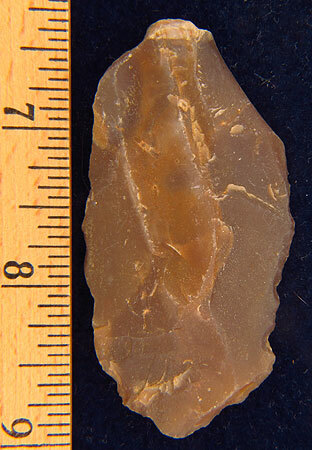 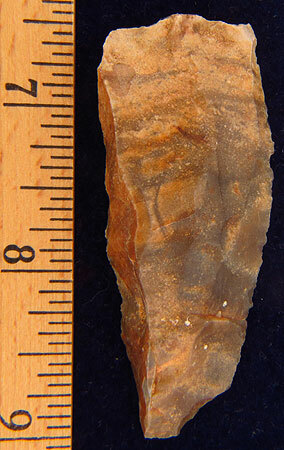 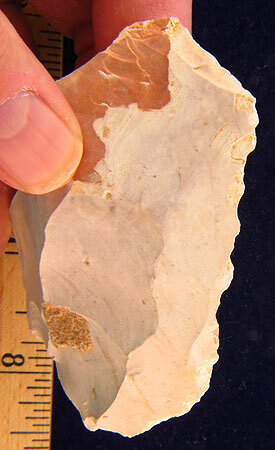 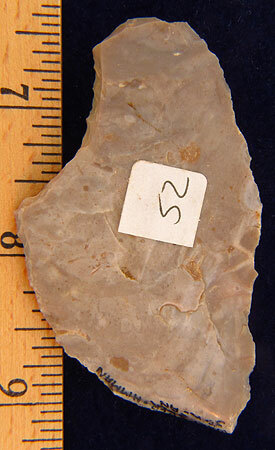 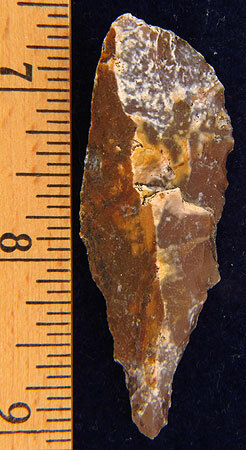 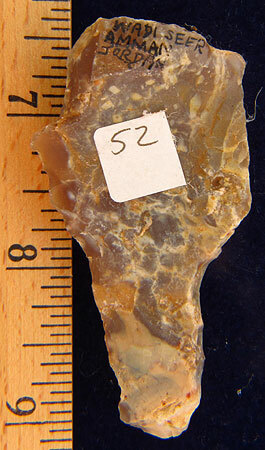 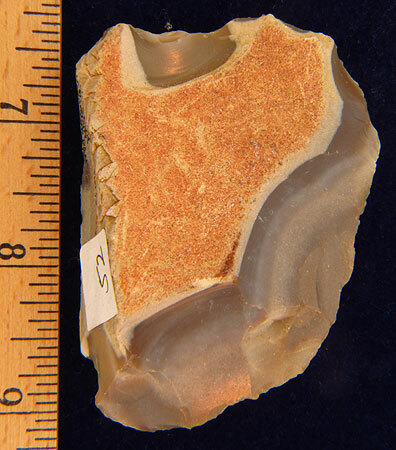 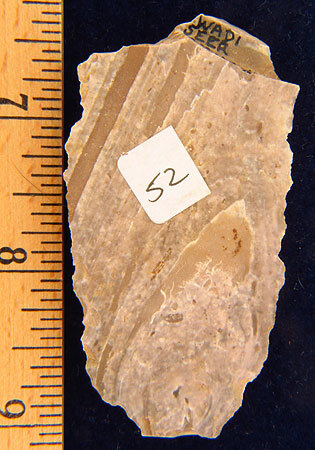 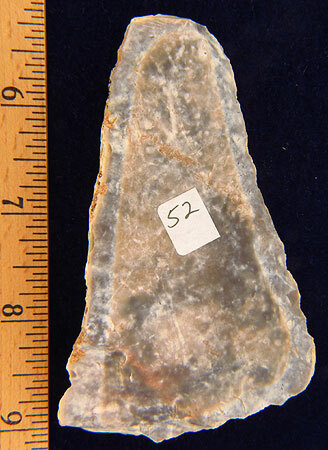 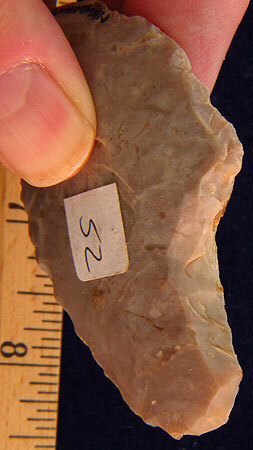 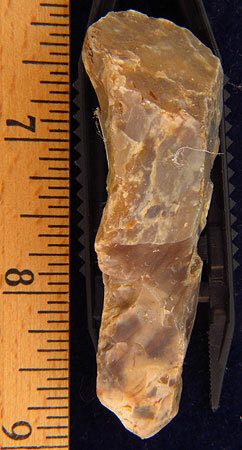 (UP48) Magdalenian utilized flake, 1 5/8" L x 1 11'16" W, a Magdeleine, Dordogne Region, France, blue gray flint, from my personal collection, $12. 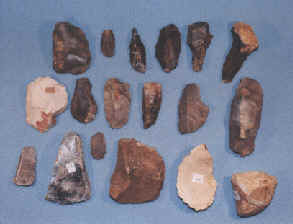 UP50. 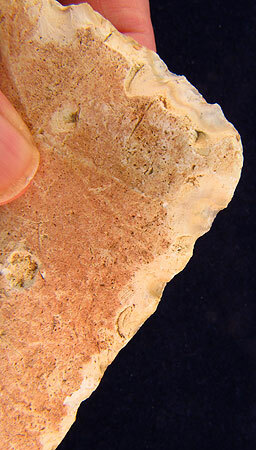 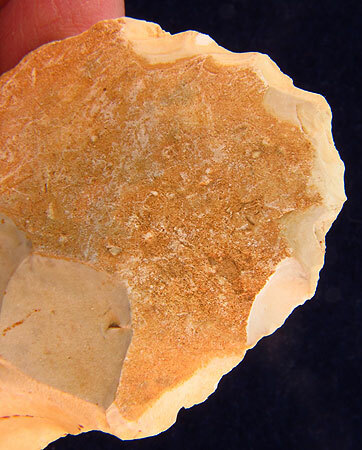 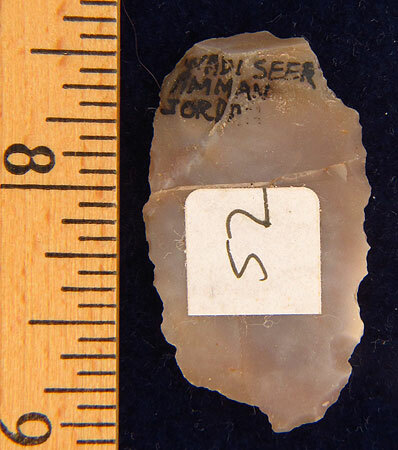 (B38) Group of 18 pieces from Wadi Seer , Amman, Jordan, various materials, mixture of Mid-Paleolithic to Neolithic, $590.